Avendus Capital, Inc. advises Zeon Solutions on its sale to Perficient, Inc. (NASDAQ: PRFT). Zeon Solutions has entered into a purchase agreement to sell the assets of Zeon Solutions Inc., its subsidiary, Grand River Interactive LLC, and an Indian affiliate (collectively, “Zeon Solutions”) to Perficient, Inc. (NASDAQ: PRFT) (“Perficient”). Zeon Solutions, is a IT consulting firm specializing in the development, implementation, integration and support of e-commerce solutions. Post this deal, Perficient’s current annualized revenues are now approaching $500 million, and the acquisition is expected to be accretive to adjusted earnings per share. “I am pleased that our client achieved an outcome that benefitted both the shareholders as well as the employees of Zeon Solutions and positioned the company for its next phase of growth,” said Puneet Shivam, Executive Director, Head of US & Co-head Outsourcing, Avendus Capital, Inc.
Avendus Capital, Inc. was the sole financial advisor to Zeon Solutions for this transaction. Zeon Solutions was founded in 2003 and has grown to become a $23 million annual services revenue business and IT consulting firm specializing in the development, implementation, integration and support of e-commerce solutions. Zeon Solutions partners with best of breed e-commerce platforms including Magento and Hybris, among others, to provide development and integration expertise. 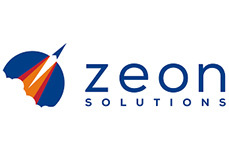 Zeon Solutions is headquartered in Milwaukee, Wisconsin, with other locations in Ann Arbor, Michigan, as well as an off-shore delivery center in Nagpur, India. Zeon has nearly 400 consulting, technology, sales and support professionals and enterprise customers include BSN Sports, Hickory Farms, HoMedics, Jordan's Furniture, Steelcase, Walter Kidde, Woodstream Corp., and many others. Perficient, Inc. is a leading information technology and management consulting firm serving Global 2000 and enterprise customers throughout North America. Perficient’s professionals serve clients from a network of offices across North America and two offshore locations in India and China. Perficient, Inc. helps clients use Internet-based technologies to improve productivity and competitiveness; strengthen relationships with customers, suppliers and partners; and reduce information technology costs. Perficient, , Inc. traded on the Nasdaq Global Select Market, is a member of the Russell 2000® index and the S&P SmallCap 600 index. Perficient is an award-winning “Premier Level” IBM business partner; a Microsoft National Service Provider and Gold Certified Partner; an Oracle Platinum Partner; a Platinum Salesforce.com Cloud Alliance Partner; a TeamTIBCO partner; and an EMC Select Services Team Partner. Avendus Capital Pvt. Ltd. is a leading financial services firm, which alongwith its associates, provides customised solutions in the areas of financial advisory, equity capital markets, alternative asset management and wealth management. The firm relies on its extensive track record, in-depth domain understanding and knowledge of the economic and regulatory environment, to offer research based solutions to its clients that include institutional investors, corporations and high net worth individuals/families. In recent years, Avendus Capital Pvt. Ltd. has consistently been ranked among the leading corporate finance advisors in India and has emerged as the advisor of choice for cross-border M&A deals, having closed around 40 cross-border transactions in the past 5 years. Avendus PE Investment Advisors Pvt. Ltd. manages funds raised from its investors by investing in public markets, while Avendus Wealth Management Pvt. Ltd. caters to investment advisory and portfolio management needs of Family offices and Ultra High Net Worth Individuals / families, spanning all asset classes. Headquartered in Mumbai, the firm has offices in New Delhi and Bangalore.